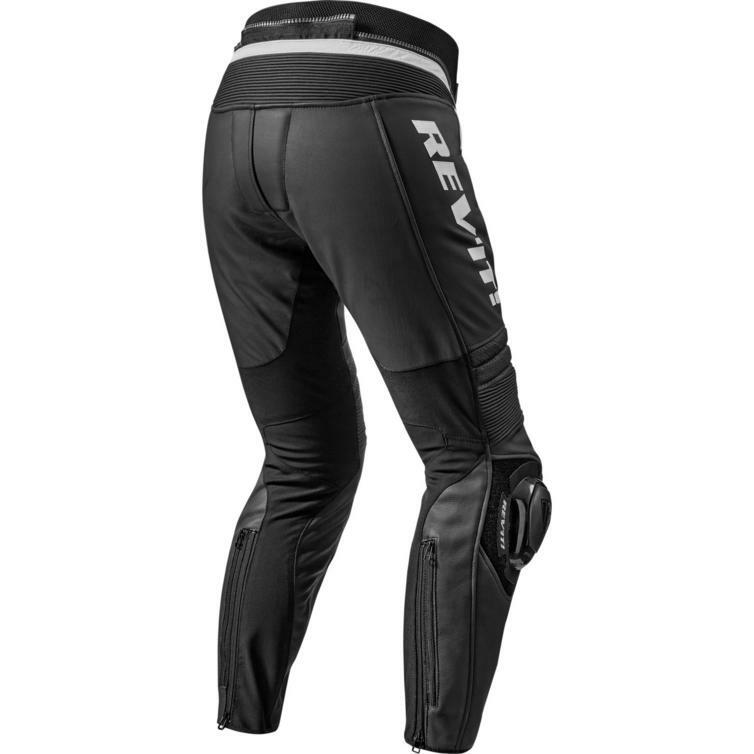 The Rev It Masaru Leather Motorcycle Trousers are part of the latest REV'IT! collection. The Masaru trousers fulfil the need for racing trousers that match the jackets in the current precision collection. The Masaru offers abrasion resistance and flexibility through matching Monaco Performance cowhide attached to PWR|shell 500D stretch material with safety stitching. The SEEFLEX? 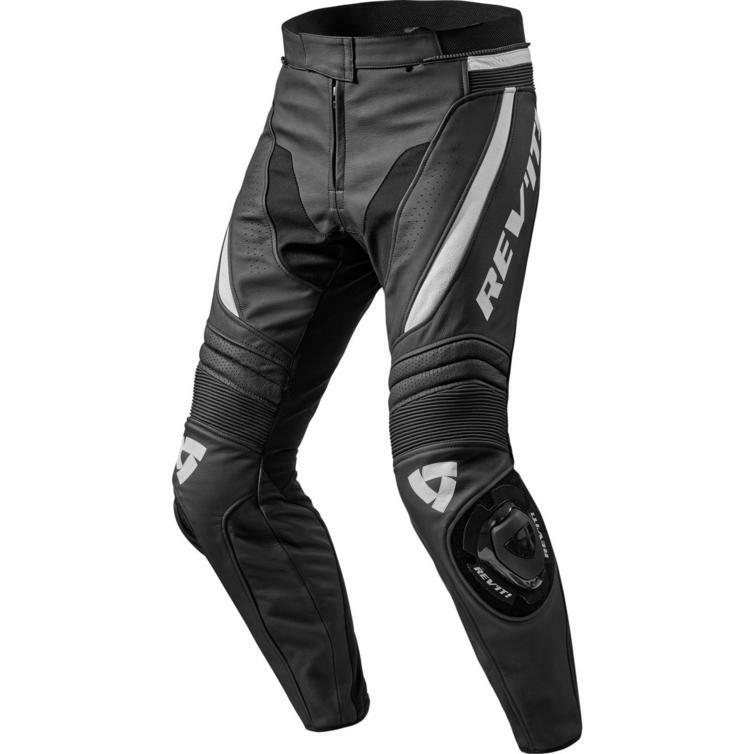 CE-level 2 knee protectors and CE-rated SEESMART? 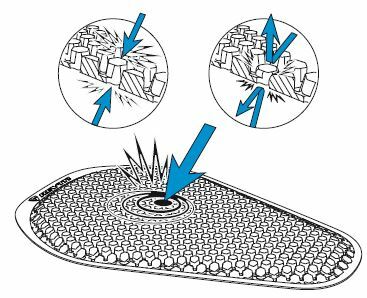 hip protectors comprise the body armor. 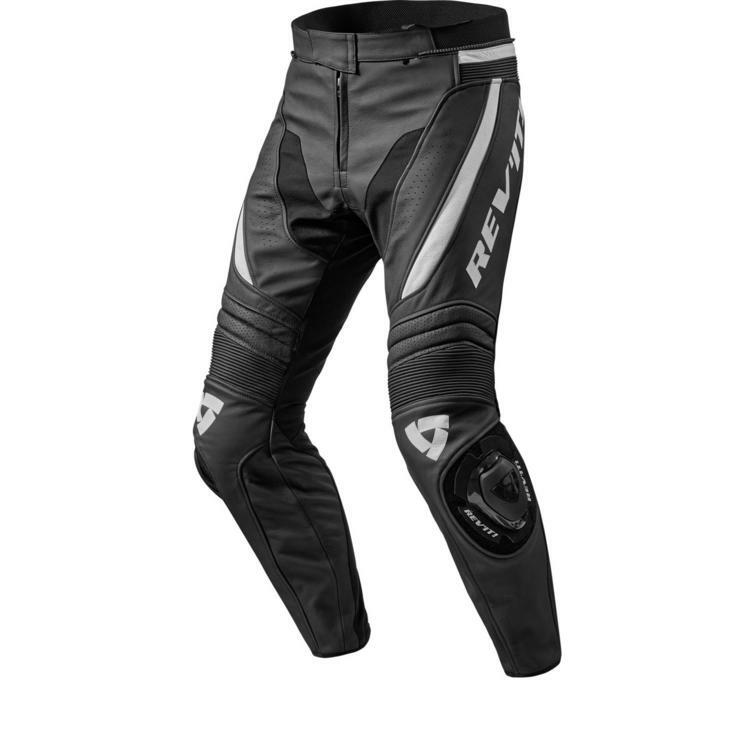 The race-fit Masaru trousers are equipped with ventilation panels at the front and the back of the legs and come standard equipped with Dual-comp knee sliders.